Let’s see what is inside the box – it is a plane ? is it an automaton ? Is it the next iPhone Killer ? Time to find out ! Before I bore you to death with technical jargons and the science behind electric razor (and not to mention the history behind it) , let me tell you a funny story on how I ended up getting a review unit for Philips AquaTouch AT750. So it all started like this , I was on twitter and suddenly I saw a friend of mine tweeted about #Philips50Shaves , that they are having a contest and an opportunity to try a electric shaver . Now I join the competition for “teh lulz” (fun). Now I did not expect to be short listed and be selected to review along with few other bloggers as well. But hey that’s life , expect the unexpected – otherwise it would be pretty boring if you are able to predict every single outcome. This gives me a chance to test out electric shaver ! Now that is my story. I am not the hero but instead the razor. Let me share with you a little bit history on razors (which something we all take it for granted). According to Wikipedia , Razors have been identified since Bronze Ages. In the late 18th/19th Century , straight razors were produced and later in the 1930s , electric razors were invented. There you go , you are now up to speed about the history of razors. If you want more in-depth history I would recommend you to visit the Wikipedia page which I have linked. Alternatively if you are intrested in straight razors (the ones that barbers generally use) , I would recommend you to check this link out and finally if you want to know in-depth of electric shavers , be sure to check this link out as well. Thankfully , Philips AquaTouch AT750 is here to solve the issue for once and for all . Instead of writing it out on how awesome Philips AquaTouch AT750 , I did a video which explains the features (and not to mention unboxing of AquaTouch AT750) and as well as issues that I face when I use conventional razor and how the features of AquaTouch AT750 helps to addresses some issues and not to mention some of the unique features which is found only in the AquaTouch. Generally I would write a long-winded post on the features , but since the Philips AquaTouch AT750 is so awesome and there aren’t any words to describe it – I decided to do a video of unboxing and explain some of the features of what AquaTouch AT750 has to offer. AquaTec – as the name suggests , the Philips AquaTouch AT750 works with gel/foam and as well as dry shaves. It is much like a hybrid that caters the needs of every man out there. I know some of us prefer dry shaves and others (like myself) would prefer a wet shave. 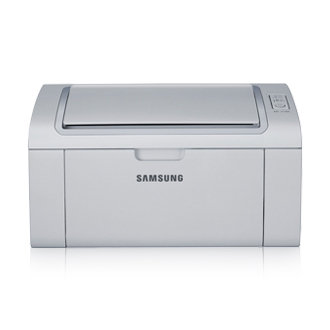 Let’s take a look at what else Samsung ML-2160 has to offer. In the previous section of the review , we took a look at price/performance ratio and the hardware aspects of the printer such as its size. In this segment , we will take a look on the software aspect of the printer.